Now they making you into a local, and that ain’t so bad! As a local you know where hundreds of Cape Town sightseeing landmarks are and you know when they open, how to get there and what it’s all about. We know which neighbourhoods to visit and the ones not to! Our friends (oh yours too) know where the events and festivals are and how to book for them when we all go out together on those day-trips around our mother city. Oh and don’t forget when we need to get a dinner reservation, or those latest clothes for the ladies and the adventure stuff for us guys. So now you a local hey! It’s lekker to have the app on you mobile just so you know what’s happening! So get it now for Android or The iPhone app store and you will be one of us… shoo-wow. 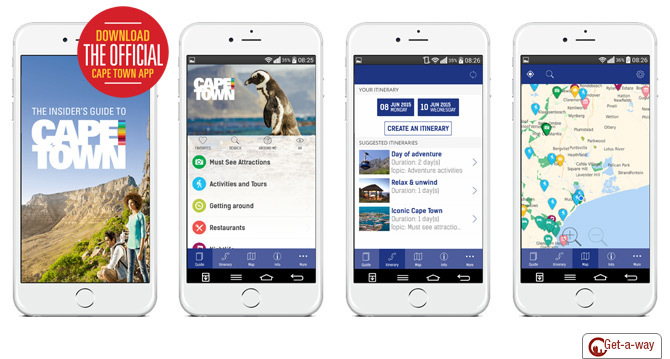 CABS Car Hire recommend to any visitors (and locals) to get the new Cape Town Tourism app for your guide to exploring Cape Town.